It’s been a very busy and rewarding year for Snowflake. Demand for the data warehouse built for the cloud has exceeded our most optimistic expectations. 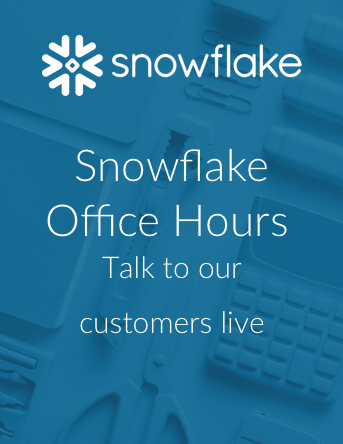 Our customers love Snowflake and we continue to see unprecedented interest and growth from both new and current customers. To meet that demand, we continue to invest in expanding the availability of Snowflake around the world and creating the infrastructure needed to support customers as they adopt Snowflake globally. All of Snowflake’s existing investors participated in our latest $450 million equity financing, including Sequoia Capital, which led the round. We also welcomed Meritech Capital as our newest investor. Our investors are part of the Snowflake team and we deeply appreciate their support. Snowflake’s mission is to enable every organization to be data-driven. This is easy to say but quite difficult to do. Yet, Snowflake is helping our customers to do exactly that. Snowflake enables organizations to become data-driven in a values-based way, starting with our number-one value: putting customers first. We understand that to become truly data-driven, first and foremost, we must all work together. Snowflake has demonstrated that bringing all data together, in one central repository, to make data-driven decisions, is more than just good business. It helps bring people together. With data warehousing, the details of what has happened in your business are called facts. When you put all of your data in Snowflake, an effectively unlimited relational data warehouse, you gain a coherent, centralized, fact-based view of every action, every event across your business. Working with fact-based data provides a clarity you can’t get any other way. Inconsistent or partial data can lie. Accurate, fact-based data from your business systems which is stored, integrated and analyzed in Snowflake tells the truth. When everyone in your organization operates from fact-based data, they all see the same truth. This truth cuts through opinion and brings instant clarity to decision-making. It highlights problems. It reveals new opportunities. It brings people and organizations together in ways never before possible. It also enables some of the most impactful advanced analytics and machine learning capabilities for today’s organizations. Fact-based data will become the fuel for the Data Economy – the global supply and demand for data as a business asset. How does Snowflake help power the Data Economy? From our founding in 2012, our team knew our innovative multi-cluster, shared data architecture would empower customers to work with data in new and exciting ways. They realized this architecture would provide a nearly limitless relational data warehouse to store all data so people can make fact-based, data-driven decisions. They also envisioned a new generation of applications created on Snowflake. Today, over 1000 customers bring data, systems and people together with applications and analytics powered by Snowflake. This is a critical step towards growing the Data Economy. Some Snowflake customers are going further. They use the set of secure features that enable the Snowflake cloud-built data warehouse to also become the Data Sharehouse. Snowflake is working closely with companies such as Lime, Blackboard, Rue Gilt Groupe, HubSpot and Localytics to transform their business to easily and securely share and monetize live, governed data with their customers and business partners. Snowflake started in a single AWS region – US West. Over the years, we have expanded across multiple AWS regions and Snowflake is now also serving Microsoft Azure customers. We will add many more Azure and AWS regions in the months and years to come. Over time, Snowflake will also expand onto other clouds. More importantly, Snowflake is working to connect these regions and clouds to establish a global data sharing network. 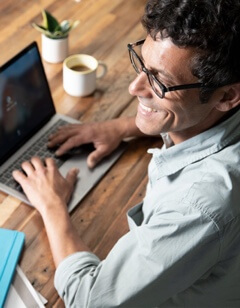 A data sharing network that enables teams, organizations, and independent customers to share data securely, seamlessly, and in near real-time regardless of location. We’re connecting data and the people who work with it in ways never thought possible before: securely, fully governed, and across organizations. Snowflake is building this global capability today. The next step, cross-region and cross-cloud replication, are currently in private preview for customer testing. We will expand availability for cross-region and cross-cloud replication to other customers in 2019. Snowflake believes a fact-based, global data sharing network will help to create the Data Economy. Snowflake is building this data sharing network to ignite and drive this Data Economy, enabling the creation of enormous value for people around the world. Snowflake enables organizations to make fact-based, data driven decisions. We will work in partnership with customers and partners across industries to create the global data sharing network that will fuel the Data Economy. We will build this data sharing network in a values-based way that empowers customers to create fact-based data systems that are consistent with their ethics and values. We will ensure that the Snowflake data sharing network interoperates with other systems while respecting the laws, ethics, and values of all people across the globe. All this is a result of hard work by many – the Snowflake team. Our employees are the foundation however team Snowflake starts with our customers. Our partners and investors are also part of the Snowflake team. By working together, team Snowflake will help to create the global Data Economy built on fact-based data. And this Data Economy will bring people together around the world, creating new value and opportunities for all of us.